A couple of weeks back, my dear friend, Frances gave me this beauty loot! Thanks, Frances! Now I’m out to find out how to use all these pretty things. Practice makes perfect. 😀 I usually just use face powder, lipstick, brow pencil and I’m good to go. Now, we wouldn’t wanna waste all these pricey beauty stuff, do we? Matt Touch Foundation’s smoothing, silky-soft texture caresses the skin with a sublime and long-lasting radiant matt finish. The white water lily extract associated with anti-shine sebo-sponges purifies and controls excess oil, and the star radiance booster pigments conceal imperfections and illuminate the complexion. The skin’s texture is refined, the skin is pure, neat and fresh. The complexion is beautifully radiant while remaining perfectly matt. With MATT TOUCH FOUNDATION, you can let your complexion enjoy the incredible sensation of a matt and long-lasting veil of even color. 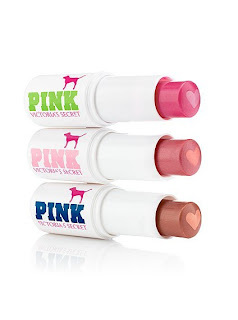 Get an extra soft and sweet pout with these hydrating, flavored lip balms. From early classes to late, late nights, one swipe adds the perfect hint of color. Domestic. Another one of my make up essentials is an eyebrow pencil. As opposed to most girls needing to pluck wayward hairs around their brow area, this girl right here is in need more of drawing brows over her real pair because her brows are just too thin. I would have to say though, that it was only until I was actually in college that I have learned how to draw brows and even then, I was still experimenting on the right liner. Being on a college student’s allowance then, I started off with the local brands and when I had extra I tested those imported ones. Since my primary make up essentials are composed of just these three: eyebrow pencil, lipstick and pressed powder, I searched for the best brand and would always, ALWAYS. Did I just say always? Okay, point made… always end up just getting those liners stock in my make up kit. Most of them might as well rot for years inside the bag, used only a couple of times? And my reason is not because I am too shopaholic for make up finds, but rather, there was just no liner that delivered the way it should. 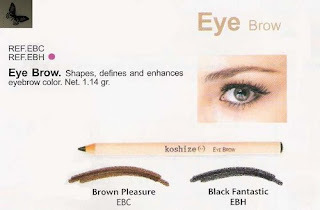 This is why the quest did not end until I encountered Koshize Eye Liner. This is why I was made a believer and thus I signed up to become a member to get discounts on all those fab make up, bags and fashion stuff! I don’t splurge, as I have always emphasized, I happen to believe I am who you can call a practical kikay. 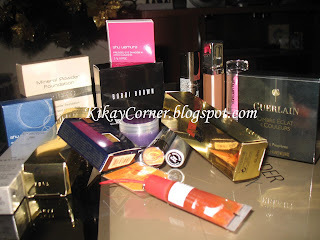 If I would need to buy a make up to replenish my old one, then I might as well buy the best brand for each kind. 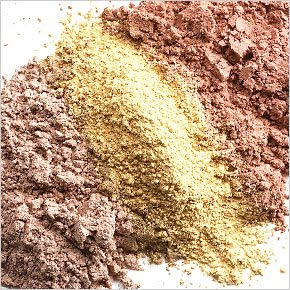 Did you know that conventional or tradition make up makeup comes in liquid form or uses a bonding agent to keep it together, mineral makeup is basically loose powder. Because it is dry, mineral makeup does not provide the right environment for bacterial growth, making it safe for long-term use. While a convetional makeup needs to be thrown away after their expiration day because of their moisture content, which bacteria uses to multiply and survive. Everyone will agree with me that this country is probably the most humid, tropical one all over the globe which makes mineral make up perfect for use. Traditional make up does not, I repeat DOES NOT absorb excess oil or sweat, which mineral make up is good at. This explains why you almost never have to do retouches as often. Mineral makeup is today’s latest trend. It is now sold in department store counters raved about in fashion magazines. How do the various brands differ, and which one is best for you? How does mineral makeup differ really from traditional ones? Care to investigate? Truth to tell, despite all the different brand names and marketing strategies, most mineral makeup has similar ingredients. Which is not very surprising. That’s why they are called mineral make up to begin with. 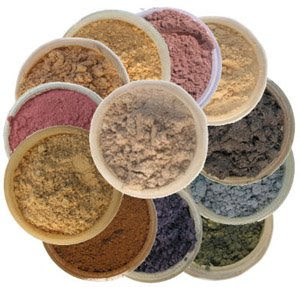 Most commonly used minerals include micronized titanium dioxide, micronized zinc oxide, iron oxide, silk mica, and hydrated silica. Micronized titanium dioxide, a common ingredient in sun block products, is particularly suited to protect skin from damaging sunlight. This white mineral’s crystalline structure naturally reflects and defuses the sun’s harmful rays. Micronized zinc oxide works in combination with the micronized titanium dioxide to reflect the sunlight’s dangerous UVA and UVB rays. 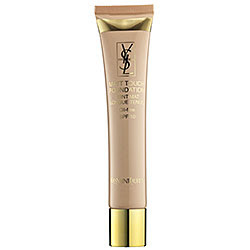 Did you know that unlike traditional cosmetics, mineral foundations can provide sheer to full coverage? 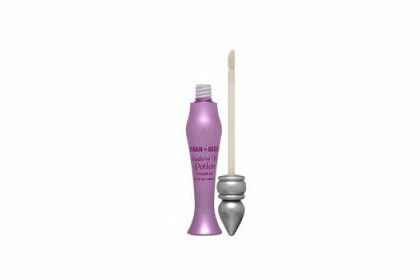 A light, sheer finish can be accomplished by moving the applicator brush in small circles on the face. Mineral makeup can also provide a more opaque texture if applied in layers with a damp sponge, much like you would apply liquid foundation. Fortunately, the consistency of mineral makeup gives coverage without the thick, unnatural, pore-clogging consequences of traditional liquid foundation. With all these unfolding before you, will you really be willing to drop your expensive and popular brand and grab a hold of your very first mineral make up a.k.a. MMU? What About Mineral Make Up a.k.a. MMU? My first encounter with mineral make up was more than three years ago. At first, I thought it was just a hype, some kind of a fad. But later found out the several advantages of using one instead of the usual commercial one. As kikay as I can be, I barely go out fully made up. If at all, I will just make sure I have drawn my eyebrows and put on my all natural Bioenzyme plus lipstick and that’s basically it. If truth be told, I am ready to go in as little as five minutes after bath. Meaning I have done all the necessary stuff needed by my brows and lips. 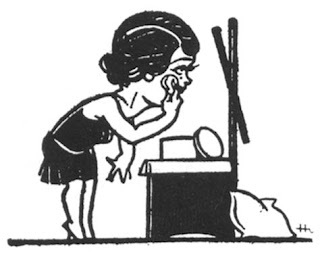 I just press on some face powder by T. LeClerc and I’m good to go. Going back to mineral make up or what they call MMU. MMU is make up that is devoid of the usual fragrances, preservatives and harsh chemicals your usual commercial ones have. MMU is enriched with minerals that are proven to be beneficial to human skin and they are also longer lasting. What can you ask for more, right? Honestly, I have only tried on a couple of brands and because as I have said I am not big on using make up, I have not really gotten down to what others have done. The MMU collection. That being said, I will still get down to the business of learning more about the beauty of going natural via mineral make up. Do you know that you can actually sleep in your BioEnzyme Plus lipstick and actually reap the benefit? We have probably heard a hundred times that a girl is never to sleep in her make up at any cost because this will bad for the skin. On the contrary this lipstick will do its job while you have your sweet sweet dreams.